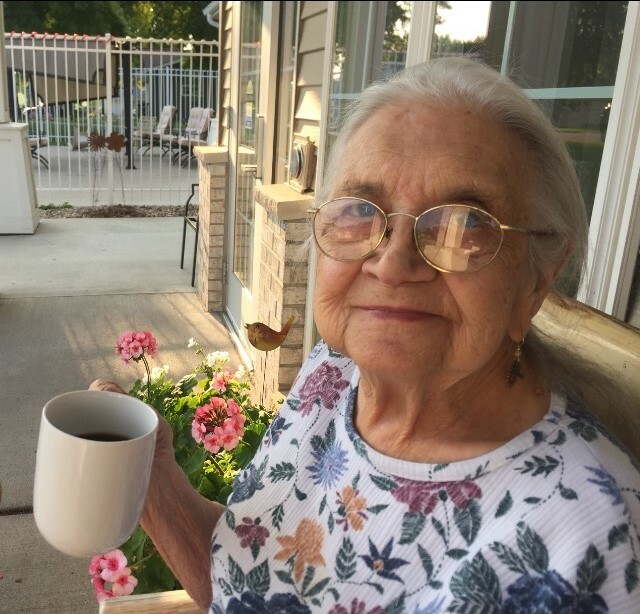 AGNES DOROTHY KRULL, age 93, of Rushmore, died Thursday, August 30, 2018, at the Sanford Worthington Sunset Hospice Cottage. She was born April 2, 1925, on the family farm north of Worthington, to John and Doris (Kunze) Graff. She attended country school in rural Nobles County; and later worked at Worthmore Creamery in Worthington. Agnes married Harvey Krull on October 6, 1949, in Herman. The couple lived in Rushmore all of their married lives. Agnes is survived by her son, Jerry (Nancy) Krull, Rushmore; daughter, Darla (Steve) O’Brien, Rushmore; six grandchildren, Cory (Laura) Krull, Colin (Erin) Krull, Kayla (Josh) Krull, Chris (Noel) Krull, Nikki Demers and Sean (Meghan) O’Brien; eight great-grandchildren, Bennett, Eva, Nolan, Gretta, Logan, Kadence, Ashlyn and Dalton (Nicole); a great great-granddaughter, Alena; and a sister-in-law, Delores VanRegenmorter, Sioux Falls, SD. She was preceded in death by her parents; husband, Harvey on November 29, 2005; two sons, Tom and Ronald Krull in 1970; daughter-in-law, Debra Krull in 1970; two brothers, Marvin & Raymond (Fern) Graff; six sisters, Helen (Howard) Cam, Luela (Howard) Sevdy, Lillian (Glen) Cunningham, Mildred (Melvin) Aanenson, Edna (Otto) Braun and Mavis (Orville) Appel; and a twin sister, Alice (Leon) Krull.